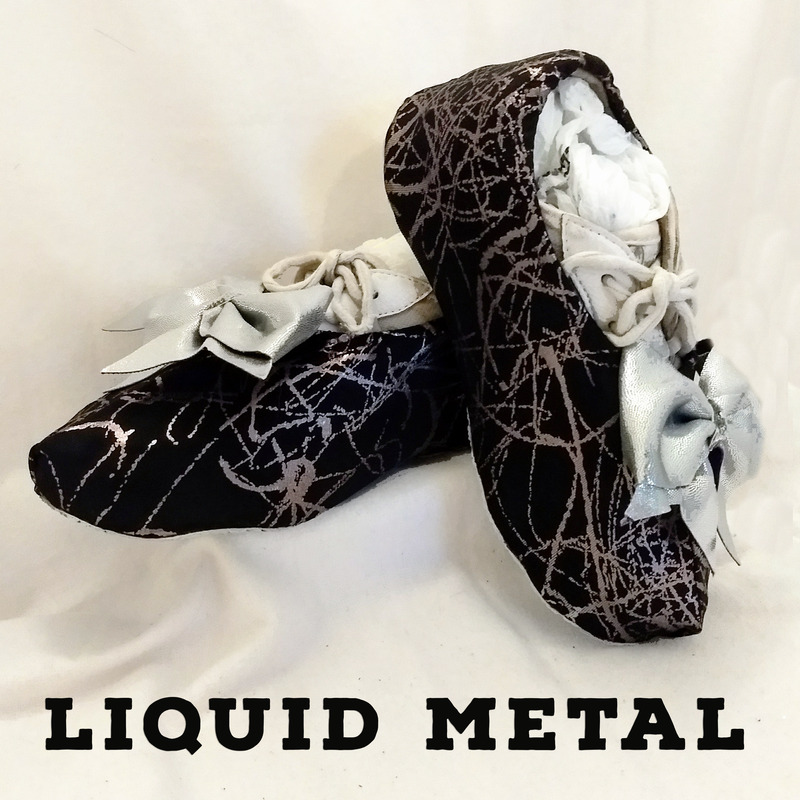 Metallic silver accents these black cheer shoe covers. Allows quick change from "street" shoes to sport shoe. It will work well for any type of specialty shoe like ballet, jazz, dance or flat tap shoes. The shoe slip-on is made from thick lycra material which stretches over the cheer shoe. the sole is made of a tough vinyl that stands up to different surface types. The bow is detachable, can be made in any color scheme to coordinate with costumes or uniforms. Also available in colored shoes & plain black . Thick, durable outer sole great on out door surfaces. Team discounts available - get a pair for everyone! Order by outer shoe sole length, (click here to get measuring instructions) specify 2 coordinating bow colors - bows are included with the price of the shoe. *Please allow extra time for team orders!